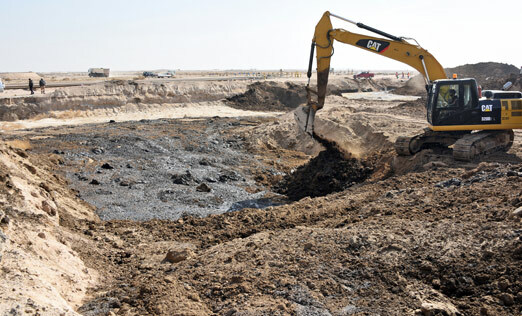 Two projects of Excavation & Transportation of Heavily Oil Contaminated Soil to the Landfills at the North Kuwait and South East Kuwait for our client, Kuwait Oil Company. 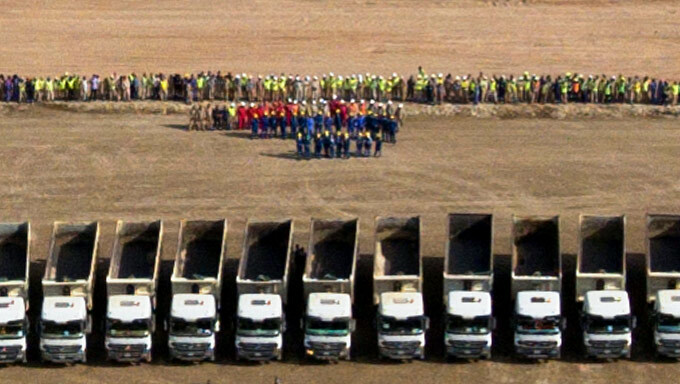 The most significant achievement of Alghanim International was the successful completion of the two projects with Zero Loss Time/Injury, taking into consideration that 2.5 million man-hours have been spent and over 10 million kilometers driven (which is equivalent to driving 250 times around the world) while adhering to an approved traffic management plan.This is an acknowledgement to a dedicated Alghanim International team, a professional excavation and transportation construction team and UXO Sub-contractor under the observation of the KOC controlling team and Project Management Consultant. 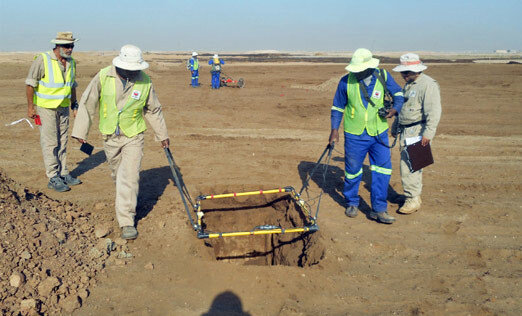 Utilizing Systems approach to Mechanical De-mining, Ground proofing and UXO Geophysical Survey and clearance at the coastal trench, Alghanim International was able to release more than 294,000 square meters for the safe excavation and transportation of around 6,500 cubic meters of contaminated soil to the landfill. More than 1.4 million square meters of Wet Oil lakes were UXO cleared, excavated and transported to the landfill. Comparatively, this is the equivalent of 285 football fields. 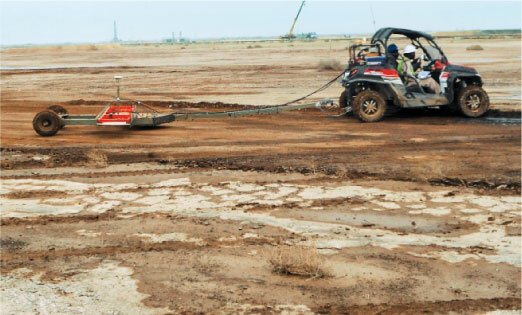 Due to competent resource management and methodology, Alghanim International was able to complete about 55,000 square meters of Wet Oil lake features per month. First of a kind project anywhere in the world, considering the massive volume and the extraordinary operational challenges that Alghanim had to face.